Merry Xmas ... and these are the breaks ! It's Xmas ! It's Electro ! Mixed on Father's Day ... with an old school vibe to it. I feel like I've made it. The game I wrote for Ludum Dare 31, Dr Blake and the Singular Screen, was reviewed by the Button Masher Bros. Listen to the guys talk about the fappening and my game. They really loved Blake's samples and that was certainly one of the funniest aspects when making it. Muckaround mix with lots of S.P.Y, Hip Hop bootlegs, throwback classics and more. The Crew launches 3rd December, 2014 ... can't wait. Though I have to say, I keep thinking of "We be the crew..." by The Wiseguys. Best Use of Cardboard ... Ever ! Going hard mainly with the sounds of Roni Size's Size Matters LP, Rockwell and S.P.Y's Back to Basics Chapter 2. #InterstellarMarines 2 x Co-Op and SP maps, as well as brand new stealth options. It's summertime vibes (and heat) with the help of my three favourite LPs released in 2014 by artists - Technimatic, Tokyo Prose and Logistics. There's also some Wilkinson and Rockwell thrown in there for good measure. "Mix, perform, and unleash your true creative power without ever reaching for the laptop." #InterstellarMarines 3 x SP and Co-Op Missions. 5 new characters � Gladiator, Amazon, Swashbuckler, Gypsy and philosopher, New board region for heroes to explore, 128 Dungeon Cards, 20 Spell Cards, 10 Adventure Cards and 10 Treasure Cards. "Disney Infinity (2.0 Edition) for PC is now available for you to download and play for free! The PC game is the same game you�d find on your console at home, but now you can buy or redeem your Starter Packs, Play Sets and characters digitally! Play demos of all three Marvel Super Heroes Play Sets and keep checking back because we�ll be rotating through different characters that you can try for free as well. Plus, participate in a PC-exclusive feature, the Daily Challenge, which randomly generates a new set of levels of every day for you to test your abilities. To experience all the PC game has to offer, use your web code cards to download your Starter Pack, Play Sets and characters and log into your Disney Account to access all of your Toy Boxes. And don�t forget to get your friends to join in all the fun with the Friend Rewards program! Recruit fellow PC players and you could earn free digital characters and more!" Watch as EverythingApplePro compares all 10 (ten) iPhones that have been released. Written for fans and by fans, who were inspired by the beloved cult sci-fi series Firefly. Robot King answers the question, what would really happen if teenagers were the defenders, who formed a giant robot, much like Voltron. What makes this even funnier is, I was just watching my Voltron DVDs with my son last night :) How apt. 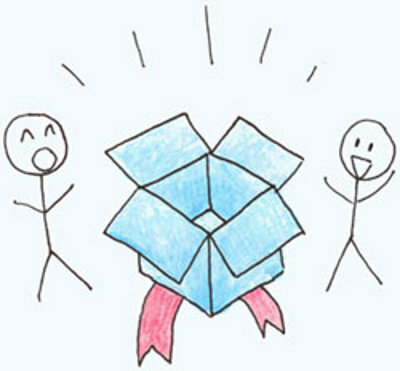 Recently I had a major issue with the cloud based syncing service - Dropbox. Prior to this, I would sing it's praises to everyone -- now, I'm not so sure. It's all about Phuzion Records fantastic LP - Atmosphere: Deeper Drum & Bass (Chapter 5) ... 69 dudes ! Over the weekend of the 23rd/24th August, I participated in one of the best known and respected game jams, called Ludum Dare. Currently in it's 12th year, Ludum Dare (latin for "to give a game") is a two-part event, the compo (solo 48hrs) and the jam (solo/team 72hrs) to create a game based around a theme, which was announced on the weekend - Connected Worlds. Find out what happens when Julia Louis-Dreyfus tries to offload her Emmy to Bryan Cranston and Aaron Paul. Nobumichi Asai used Omote, a combination of real-time face tracking and projection mapping to transform a model's face into mesmerizing patterns. The results are both, pretty cool and creepy. Are you ready to party ? Wish granted! Aladdin and Princess Jasmine are joining the #DisneyInfinity Toy Box 2.0 ! They're back for season 6. The Venture Brothers would have be to my favourite TV show ever with Home Movies and Mission Hill in second and third place. I don't care how long they take, just as long as Titmouse just keeps making them. I use to love playing with the typewriter when I was a kid, so mechanical. I don't miss having to change the ribbon or when you made a mistake. wooooo ... Chuck D is on the mic with the soulful Mavis Staples on vocals and a Chuck Brown beat. This track is wicked. 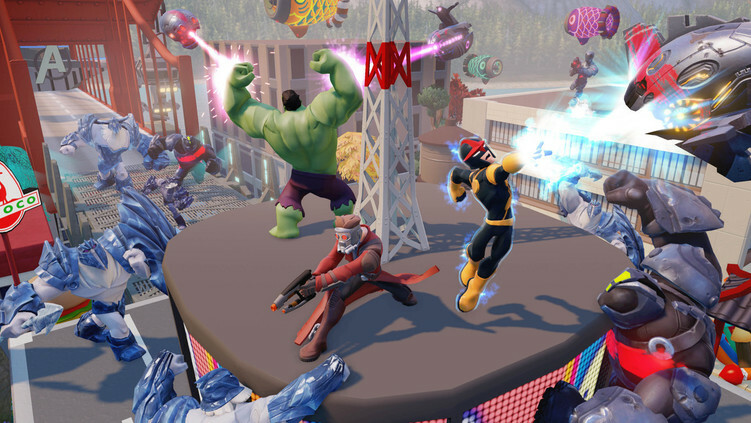 Ronan the Accuser from Guardians of the Galaxy, Green Goblin from Spider-Man, and Loki, God of Mischief from The Avengers have just been revealed as playable characters in the new Marvel Disney Infinity 2.0. It's not the best track, One Way to Mars is probably my favourite, however, it's the sampling of the Galaga extra ship music that makes it interesting. Nicely done. Along with the LP, you can play the Bop 8bit (Unity Engine) video game - Bop's Quest. He does it every year at Comic-Con, this year, Adam Savage (Mythbusters) debuts a costume he has been working on for almost a decade: the space suit from Ridley Scott's Alien! Mad Max: Fury Road has been in development since 2003 and today at Comic Con, it's first trailer was made available. Personally, I like to pretend that Max Mad III never happened; it seems as though Fury Road takes it's look from that movie. At least, George Miller is back to making the movies that earned him respect. Also, with music by Junkie XL, how could it not be cool ? Check out Disney�s new animated series, in which the republic has fallen. The voice cast includes Freddie Prinze Jr., Taylor Gray, Steve Blum (my all time fav voice actor), Tiya Sircar, Vanessa Marshall, Jason Isaacs, David Oyelowo and Billy Dee Williams - yep Lando himself. I think this might have been better if it compared either the old movies with the new movie or the old cartoon vs the new cartoon. Anyway, the reactions, as usual, are good. MetroGnome is back. This time taking on the Game of Thrones theme song. He's got 99 problems, but a switch ain't one. Weird Al parodies Australian rapper Iggy Azalea's "Fancy". Weird Al does a great job of parodying New Zealand's Lorde track "Royals", whilst taking a shot at the Illuminati at the same time. Weird Al has a big dictionary and he's back to school you, this time parodying Robin Thicke and Pharrell Williams (again - let's face it, he is an easy target) "Blurred Lines". Great video of Weird Al parodying American singer Pharrell Williams' "Happy". 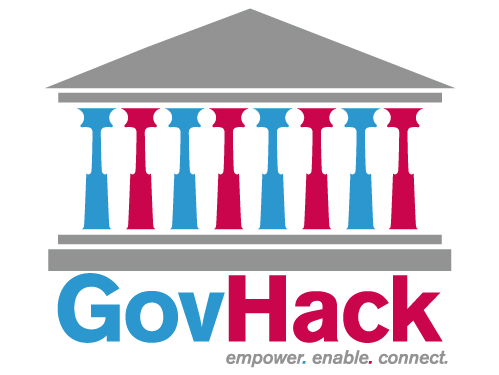 On the weekend, GovHack 2014 took place over a 48 hour period at The Cube QUT Gardens Point campus. Unfortunately, I only made it through 2 of the days and was out sick for the final and last day. So, what did I learn over the course of the weekend ? Working on a project as a team is something I rarely get to do. I do all my coding on my own, it is only at work on manual labour jobs were I will get or give assistance. The group of guys I was working with I knew only through random contacts when they were at UQ (where I work). I believe that due to their working on projects at university together and with deadlines, this in turn helped them to manage their time and work on the projects. So, it's rare for me to conceptualise, write and release something in a weekend. I usually take weeks to craft and polish the apps I work on. Hindsight is a great thing and it was only after the aftermath of GovHack, that I realised the data is, for lack of a better word, bad. Sure it might be available in RSS or CSV -- parsing these wasn't the issue; it was the additional data that was not required (requiring sifting through) or were extensions of RSS or were data dumped into one column, which then required additional parsing. The experienced members of my team, 1 worked on the front end, 1 on the back end setup and another on massaging and "fixing" the data, so when he was done, the coders would have a nice clean flow of data to use. This is where I should have concentrated my efforts early on, as once you start coding, you can't really go back or change direction in a hurry. Don't pick something that's too big. Also don't be afraid to do what some others consider boring. On the Friday night, the brainstorming happens. Lots of ideas are thrown around, some good, some bad, some crazy but the best thing to do is have an idea that you can start to flesh out and be ready to start working on Saturday. This is what happened with the 3 other people I was working with, except we had come up with two ideas. It wasn't until the Saturday morning that I found out that the other 3 people were working on one of the ideas, which left nothing for me to do, except play around with the second idea. If I had known this was going to be the case, I might have gone with one of the original ideas that was shot down for being "too boring". It might have been boring, but it was also achievable. I think this was my downfall, as I didn't get home on the Friday/Saturday night til after midnight. Walking 2-3kms in less then 4C temperatures, wasn't the best move, since I was up early the next morning and back at it for a full day. If I could do it again, I would go home earlier on the Friday and get a good rest for the coming Saturday and Sunday. I also wouldn't stay so late on Saturday night either. I think next time, I would have go home around 5/6pm, had dinner, worked on the rest of the project from home and then come in early Sunday to finish it off / do the presentation video. Will I do it again next year ? It's very tempting ... I guess we'll just have to see. Never owned one, but I did use to play Tetris on a friend's Game Boy all the time. Straight up electro that'll put a shock to your system. If you don't know what Guardians of the Galaxy is, you should watch these trailers first. I'm going to drill a hole but first, let me take a #selfie. Some of the most beautifully well crafted tracks, mostly from the Escapism LP on Liquicity Records. As heard (by me) on the MS Brissie to Bay Ride this morning. Get even more Guardians of the Galaxy in a new extended look at the film, in Aussie theatres August 7th. Good to see the movie with a traditional soundtrack rather than old rock hits. Just 2 episodes to go in Yowamushi Pedal Season 1, so I thought I'd post up the official video of "Reclimb" by ROOKiEZ is PUNK'D -- the best opening music song the show has had. Pity it was only for the first 12 eps. Introducing the newest Apple Store in Tokyo - Omotesando. Tom Clancy's Rainbox Six is back and in a good way. Check out Ubisoft's pre-alpha footage from E3 2014. Here's the trailer for Disney Infinity 2.0 - Spider-man Play Set with Spider-man, Nick Fury, Venom, Iron Fist and Nova shown as playable characters. Amazing footage of an upcoming game by Hello Games, makers of Joe Danger. It�s June 2009 and my son and this mix were born. Here's the latest instalment - Beyond Gotham, featuring super heroes from the DC Comics Universe. Well played MetroGnome, well played. Never judge a hot sauce by the sweet innocent lady on the front of the bottle. Is this what the Too Hot Crew found out when they tried Alana's Spicy Morocco Aromatic Cumin & Red Chilli Harissa Sauce ? Some of my fav tunes of 2014, which happen to be off Hospital Records - We Are 18 LP. Here's a little mix I whipped up earlier this month. Now that's a much better trailer than the first one ... I feel better about this movie at least. Well it didn't take long ... Now that you've seen the first look, how about a 5 minute preview of The Flash. Amazing puzzle platform game called Never Alone, coming soon to PC (and consoles). The Akira Project is a crowd-sourced, non-profit project meant to create a live action fan trailer of AKIRA, the renowned manga-turned-anime film from the late 1980's. Muck around mix from late last year. Figured I'd release it. Adam Jensen Does A Safety Dance! Having just finished Deus Ex: Human Revolution on the weekend, I laughed so hard when I saw this. And so the Ultra Music Festival (#Ultra2014) closes for another year. 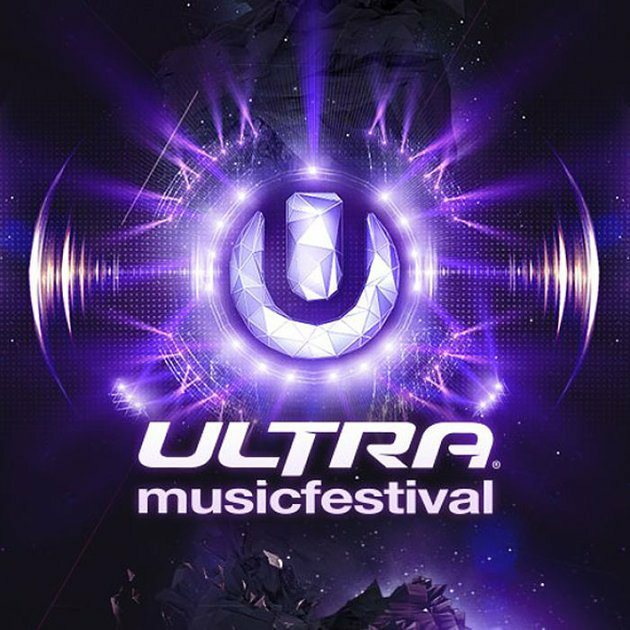 Massive props to all the dancers, camera people and other behind the scenes crew for streaming the event on YouTube (#UltraLIVE). Whilst, I didn't overly enjoy Saturday's sets, my favourite of the weekend was, strangely enough, Tiesto, even though I'm not normally a fan; he was a total professional. Carl Cox was great of course and all the other artists I would have liked to have seen, didn't get any stream-love (except for the 10 minutes of Andy C because Diplo was coming on next). 2014 is over, now let's look to 2015 and the question is, will they be back next year ? Doesn't look like the Miami Mayor and City Officials want them back. Ultra would have to bring in so much revenue to the city of Miami, so don't know how serious they are about this. On March 23rd, 2014 - Kettle & Tin hosted the 2nd Annual Chilli Cook Off sponsored by Burleigh Brewing Co.
Dale and Phil from the Too Hot Crew were there to bring their unique take on the event. 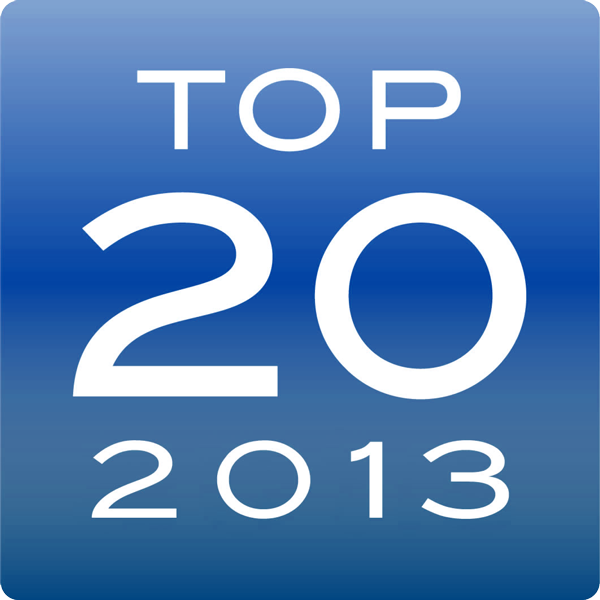 "Happy Australia Day - It's the 8th Annual Top 20 Drum n Bass of 2013. DJ Sikosis, Melonfarmer and N3B have narrowed it down to the final 21 (20 + 1 special mention track). So many good tunes to go through this year making our jobs harder than ever, still what we have here is a great selection of tracks for you today." 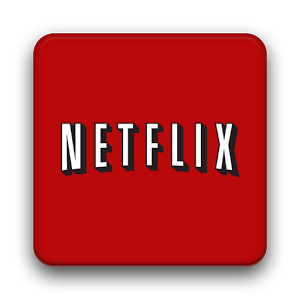 Netflix is an American provider of on-demand Internet streaming media such as TV Shows and Movies and is available to North and South America, the Caribbean, United Kingdom, Northern Europe, Ireland, Sweden, Denmark, Norway, Finland and the Netherlands. What's not to like ? Thousands of movies and TV shows to choose from, streamed to your TV via any number of media devices or browsers including mobile (iOS/Android). When you rate the TV shows or movies that you just watched, Netflix gets better at recommending more things to watch. It's about discovery and this can also be strangely addictive, moving from one recommendation to another. Not only the recommendations, they shows you what's popular on Netflix and also keep a very good track of where you're up to in a TV shows series or say if you start watching a movie on your TV and then stop it, you can very easily head to bedroom with the iPad and continue where you left off. So what's not to like ? Firstly, it isn't available and there is no sign of it coming to Australia, yet there are ways around that using third-party DNS switches or VPN services. Honestly, I think Telstra will do everything in their power to stop Netflix from coming to Australia. If they did, it would kill Foxtel overnight. Netflix uses bandwidth. This is something to be aware about. 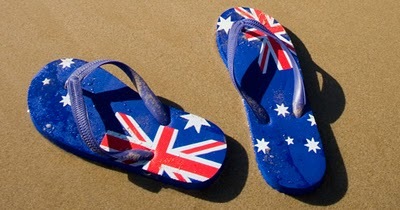 Unlike the US, where bandwidth is unlimited, we have our monthly quotas in Australia. So, not only is it costing you a monthly fee to access Netflix, but you're also using your download quota. Whilst it might not seen like much, we were doing about 7-9GB per day. There are settings in Netflix to change the quality, which can reduce this amount down, but like I said, something to be aware of. Not only that if you want a good viewing experience (ie. good quality, no buffering) you pretty much can't use the Internet for anything else. Another aspect of Netflix is shows and movies expire. Netflix's licenses with the various studios runs out and so regularly movies / shows are removed. Thankfully, Netflix also gets new stuff, which they add each monthly. The web browser requires Silverlight - Microsoft's failed equivalent of Adobe's Flash. The Silverlight app lacks proper controls and keyboard shortcuts. The only keyboard shortcut available to you is the Spacebar for Play/Pause. No ability to go back or forward, full-screen, etc - so you'll be using your mouse or touchpad to do all the navigating. The Silverlight app also has a tendency to get the video and audio out of sync and the only way to fix that is to close the thing you're watching and then reopened it again. I was testing this on a Mac using Safari as it wouldn't let me use Chrome as it's an unsupported browser, which is weird because other Windows friends of mine use Chrome and don't have any issue. Perhaps this is just more proof that Chrome isn't Chrome on all platforms. Anyway, all and all Netflix is a good streaming service with caveats.